Become Certified in the services of Eyelash Perming/Lash Lifting and Lash and Brow Tinting. 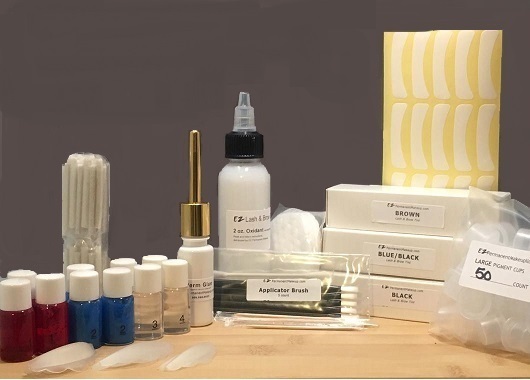 Easy to learn the student kit comes complete with 3 colors of lash tint, oxidant, under eye shields, applicators. Perm kit includes enough product to do 48 perm services including 3 different size perm rods to custom fit the clients lash sizes. Plus How to DVD and detail written instructions. Everything you need to become certified. 10 pack of disposable bouffant caps.